Why Shred Your Papers & Documents? 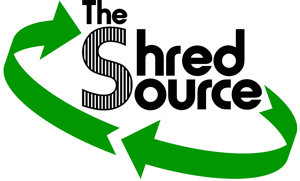 Why should you use The Shred Source to shred your documents? Because, every business has information that requires secure destruction. At some point every business has to dispose of confidential information. Customer lists, confidential client information, credit card and sales receipts, personnel and payroll records all need to be kept secure. Both your customers and employees have the legal right to have this information protected. Taking the proper steps and protocols to secure this information is not only every business owners responsibility but also it is now a legal obligation. Though it is not widely known, if any of this information ends up in a dumpster, it legally becomes fair game to anyone who finds it. Identity theft is one of the fasted growing crimes. Even though we are in the cyber age and computer hacking is on also on the rise, most identity theft information is obtained through hard copy paper sources. The Shred Source paper shredding and document destruction services, significantly reduces your risk when disposing of confidential information. Protecting the security of your private information is our business. Once the decision is made to use The Shred Source for all your secure destruction needs you can rest assured that the chain of custody will remain unbroken. Not until complete destruction of your documents has taken place will any paper be brought to our recycling facility. Recently enacted laws mandating document destruction compliance have proven that recycling is not the answer. Recycling implemented, as a form of information destruction is simply not a safe practice. Recyclers have no fiduciary responsibility to insure the security of on the paper in their care custody and control. Anything that has a signature, account number, social security number, or medical or legal information.